A Great War Nurse Costume including a Dress and Headpiece – Ideal for a Historical theme, or any fancy dress occasion! Transform yourself this with this amazing Great War Nurse Costume. This brilliant Great War Nurse Costume includes a Dress and Headpiece. This long black Dress features long sleeves, a contrasting white Collar, two white buttons, white sleeve cuffs, a white band around one arm, and an attached white Apron. This fantastic Great War Nurse Costume also includes a matching white Headpiece, to complete this spectacular fancy dress look! Perfect for a Historical theme, a School event, Book Week or any fancy dress occasion, you’ll be sure to stand out from the crowds! 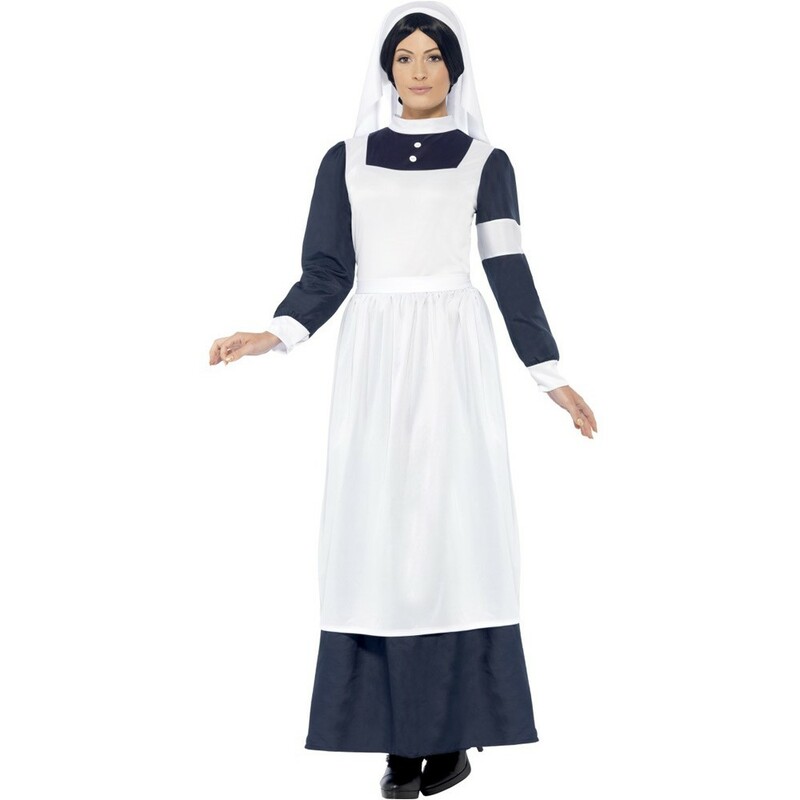 Celebrate in style with this Great War Nurse Costume! A Great War Nurse Costume.